What are the characteristics of garden pools? Do you want to accentuate the beauty of your garden with an exquisite water feature? A garden pool could be the right choice for you. From tiny backyards to sprawling lawns, garden pools can be designed in any space. They can also have innovative shapes. Their presence immediately increases the charm of the façade of your house. 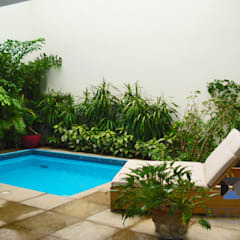 You may use these pools to take a relaxing dip in the sultry summertime, build an open air aquarium or lily pond. Garden pools have a family-friendly design which does not deprive kids from enjoying a cool splash. Some garden pools, like prefabricated above ground designs, are very cost effective and easy to maintain. 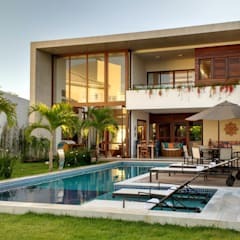 Generally, residential pools showcase a rectangular design. 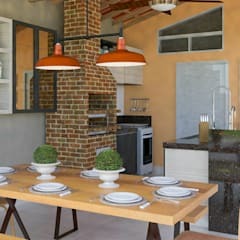 They are easy to build and tend to make an optimal use of the available space. But this is not your only choice. 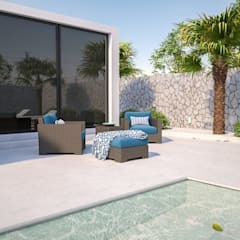 Contemporary garden pools may have abstract shapes. 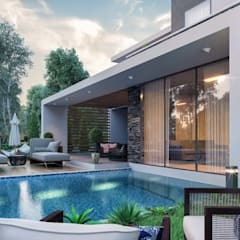 Some homeowners also like designing their pools in the shape of a palm tree, shellfish or a variety of other shapes resembling animate or inanimate objects. 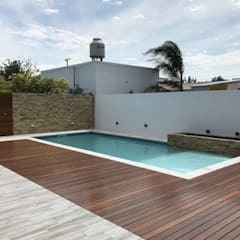 Depending on the type of pool you are about to build you may need concrete, vinyl pool liner, hardwood, engineered wood, ceramic tiles and fibreglass. 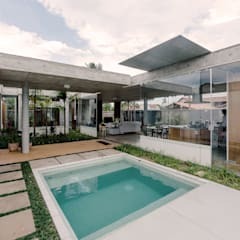 Concrete used for building the base of the pool is known as shotcrete. With the help of a hose, shotcrete is sprayed on the wire structure of an inground swimming pool. You must also invest in designing a plumbing system, buy circulation pumps, water heaters, filters and pool cleaning tools. All garden pools can be separated into two categories – inground and above ground. As the name suggests, you need to excavate a part of your garden to design an inground pool. 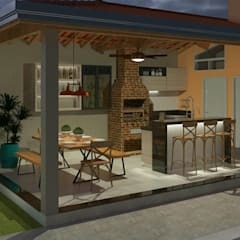 Inground designs are very flexible and can be custom built according to your tastes and requirements. So they have better aesthetic value. They last for a long time. Their addition tends to increase the value of your home. On the negative side, inground garden pools are not a cost effective solution. 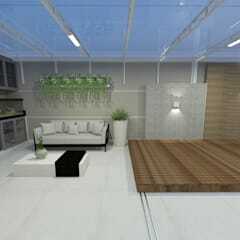 Their durability would not mean much to you, if you plan to use the house only for a few years before shifting your base to a different part of the city or the globe. 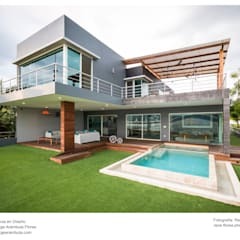 If you are not an avid swimmer or only use this house as your holiday getaway, your investment in inground pools may not have a huge return. Custom-designed inground pools take about two months to build. The waiting period may not be to your liking. 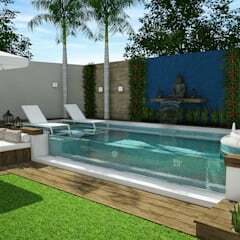 During the initial phase, you would need the help of an expert pool designer, plumber and electrician, to get the entire system working. Inground pools also cost much higher than the aboveground varieties. Apart from being more affordable, above ground pools are easy to install. The installation process can be completed in one weekend. 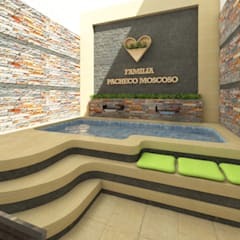 If you are planning to build a separate kid friendly pool, then this is the best option for you. 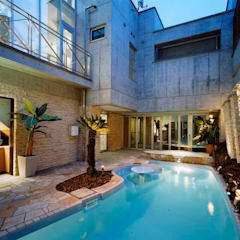 You may opt for an above ground pool, if you live in a rented house. 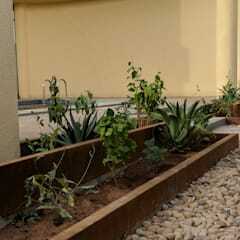 Above ground garden pools are small so can easily be placed in the corner of a tiny garden. Above ground pools don’t last long. They cannot be customised to your liking. They don’t add value to your establishment. The cheaper varieties tend to get damaged easily. This is not the pool type for enjoying a dive. 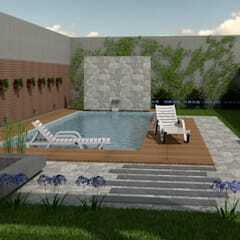 Designing pools for small gardens can at times feel an imposing task. Fortunately, when it comes to garden pools, you have a range of options available in front of you. 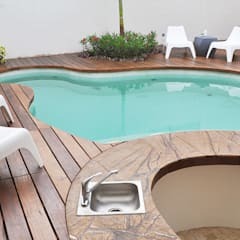 Instead of a standard swimming pool, think of installing a Jacuzzi in your small garden. You will be able to enjoy whirlpool bath whenever you feel like. It would have a rejuvenating experience on your mind and body. 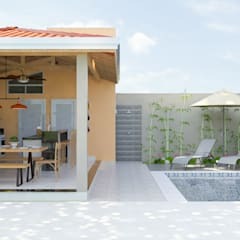 You can also design a chic wooden deck to sit down and relax after enjoying a hot bath. Counter current jets specifically designed for small pools is another option you may like to explore. These systems are built to make your swimming experience both exhilarating and revitalising. Lap pools are ideal for gardens having an oblong shape. 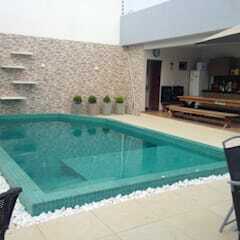 They take minimum amount of space and yet provide a very enjoyable swimming experience. * Install fencing around the swimming pool arena. For aesthetic reasons, you may install glass or transparent acrylic fencing about a metre high. * When not in use, keep the pool completely covered. * If you mean to enjoy swimming with your kids, avoid designing a pool more than 1.5 meters deep. * To avoid any possibilities of mishap, regularly examine the inflatable products used by your kids. Immediately replace the damaged items. * Keep your children under adult supervision. What are the regulations of building a pool in Canada? When built with a commercial intent, you will need permits for building a pool as well as operating it from the local building authorities. You will also need clearance from the civic authorities on the safety standards. However, no uniform rules exist for residential garden pools. You will need a permit to build a garden pool in Winnipeg. The residents of the rest of Manitoba, Quebec and Ontario should adhere to the specific design related guidelines for garden pools. The homeowners of Summerside are not allowed to build a pool in their front garden. These regulations keep on changing. So for updated regulations you must contact the local building and civic authorities. What are the costs of designing and building a pool in Canada? Installing an inground pool in Canada would cost you about CAD 180 per square metre. 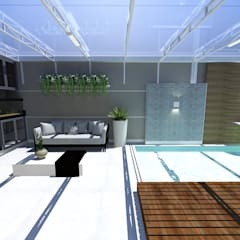 You can buy an above ground pool by spending as little as CAD 40 per square metre. High quality above ground kid’s pools can be bought in less than CAD 1000. 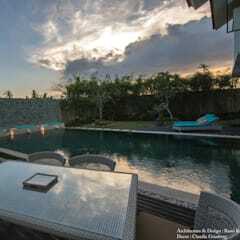 The cost of maintenance depends on the dimension of a pool. 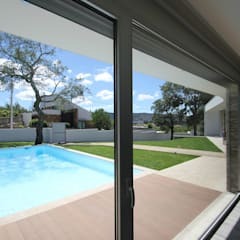 To maintain an inground pool you will need about CAD 800 per year. This would include the costs of maintaining the water quality, cleaning, heating and repairing for minor damages. The maintenance of above ground pools can be managed in less than CAD 300 per year.